Are you looking for THE ultimate decadent dessert? How about some dark chocolate fudgy brownies baked to perfection and then topped with a rich, boozy ganache? If you said yes, these Bailey’s Irish Cream Brownies are for you. I’ve been on a brownie making spree lately. My family loves the taste of them and I’ve been experimenting with all sorts of varieties. These cookie dough brownies are one of my latest creations. I often cook with wine for my main course, but this is the first time that I can remember when the the alcohol made its way into a dessert recipe. And after tasting these amazing sweet treats, it won’t be the last time, that’s for sure! 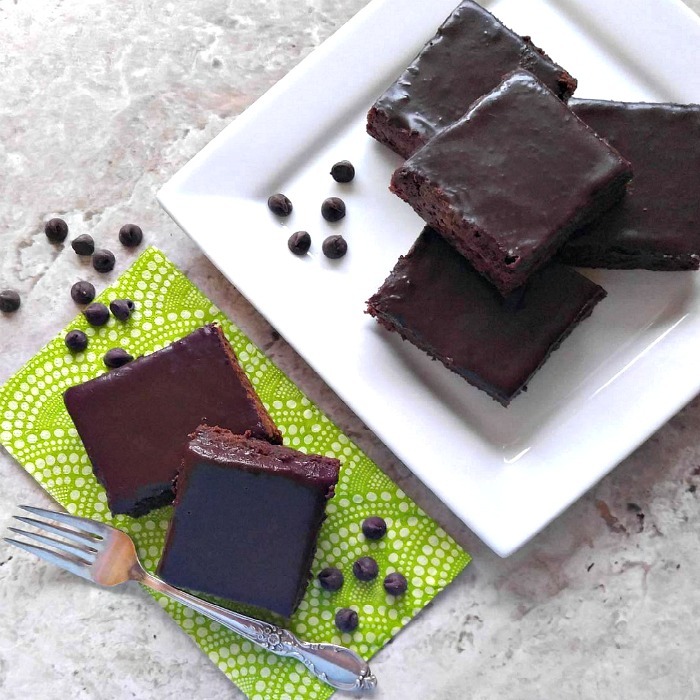 These Bailey’s Irish Cream Brownies are perfect for St. Patrick’s Day! These yummy brownies will be the hit of your St. Pat’s celebration. Have a bottle of Bailey’s Irish Cream nearby for your guests to enjoy while they taste these flavor bombs. Rich decadent glossy chocolate ganache with a good helping of booze in it tops these yummy brownies. Let the ganache cool on the counter for a while to make sure that it keeps its deep sheen and then you can keep it in the fridge. You can leave the ganache plain or use a citrus zester to grate some baking chocolate over the brownies for extra effect. 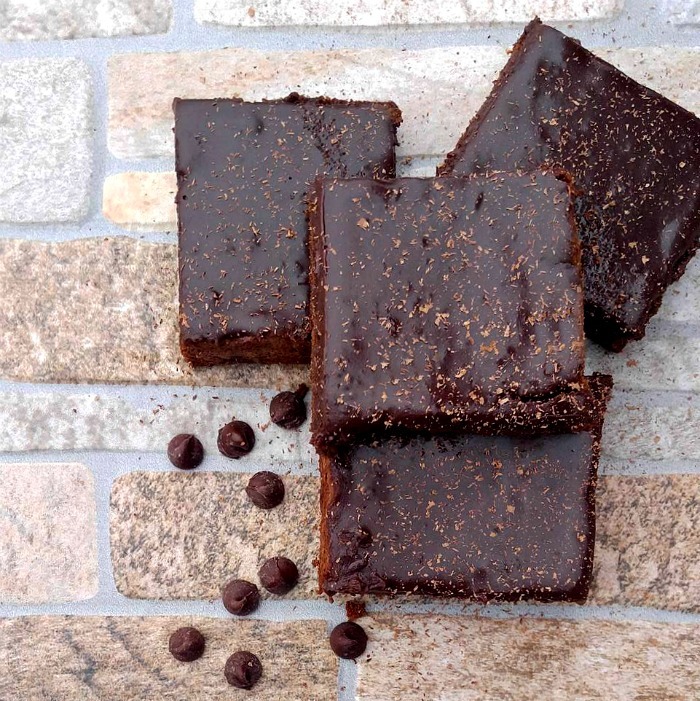 These brownies are for the grown ups. Sorry, kids, you’ll have to sample something else, since there is a generous helping of Bailey’s Irish Cream in both the brownie mix and the ganache frosting. 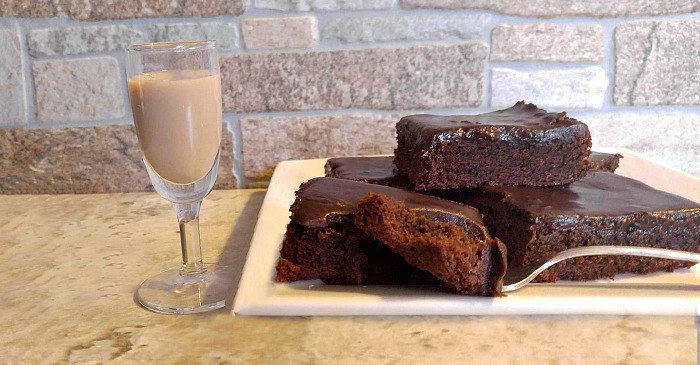 Every bite of these rich, decadent brownies has a hint of Bailey’s and a mouthful of YUM. They are some of the best brownies I have ever eaten and my husband really loved them. For more amazing desserts, be sure to visit my Sweet Endings Board on Pinterest. Need some more chocolate brownie inspiration? Try one of these recipes, as well. Rich Chocolate brownies with peanut butter and pecans. How about some dark chocolate fudgy brownies baked to perfection and then topped with a rich, boozy ganache? 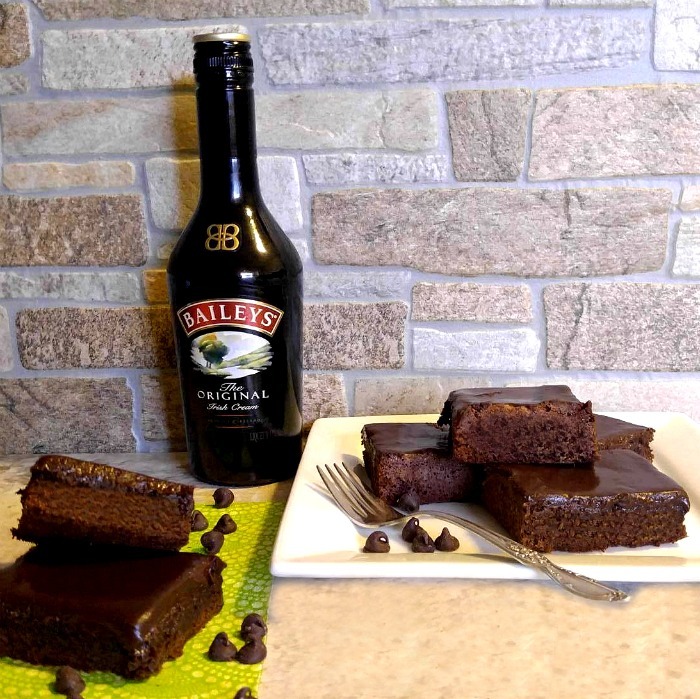 If you said yes, these Bailey's Irish Cream Brownies are for you. Line the bottom of a 9 x 13 inch baking dish with parchment paper. Melt the butter in the microwave in a microwave-safe bowl. Mix the cocoa powder with the butter. and Bailey's Irish Cream. Whisk the eggs, sugar and vanilla extract in the bowl of a stand mixer. Add the butter. Bailey's and cocoa mixture to the egg and mix so everything is combined. Gradually mix in the flour, salt and baking powder to the liquid mixture, and stir until combined, being careful not to over mix. Pour the brownie batter into the baking dish, and bake for 30 minutes in the oven on the middle rack. Remove and allow to cool completely. The brownies may appear soft but will harden slightly. Don't return them to the oven ot cook longer, or they will be dry. Place the heavy cream and Baileys in a small saucepan over medium heat. Bring just to a boil and then add in the chocolate chips. Do not stir right away. Wait 3-5 minutes and then stir the chip mixture until it is smooth. Spread the ganache mixture over cooled brownies. Allow it to cool at room temperature and then store in refrigerator.